Call it the Republican establishment’s nightmare scenario. The GOP establishment, confronted by a recalcitrant electorate that refuses to leave Donald Trump, is being forced to take a fresh look at Ted Cruz, a man with grassroots strength in key early primary states and few friends in Washington. Suddenly, the Republican Party’s best hope could be a man hell-bent on transforming it: a senator who openly spars with fellow GOP colleagues, and has campaigned by painting its leaders as spineless and feeble. 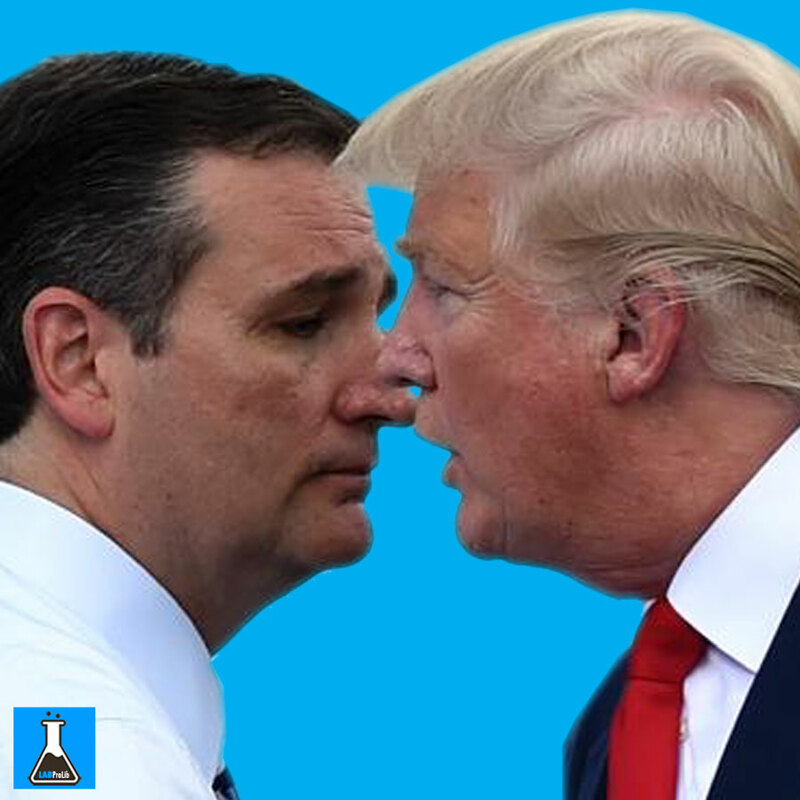 Headed into Tuesday’s CNN Republican presidential debate, Cruz and Trump have turned Iowa into a two-man race, with the Texan leading in two new polls. Cruz is up 31% to Trump’s 21% among likely GOP caucus-goers, according to the Bloomberg Politics-Des Moines Register poll released Saturday. A Fox News poll Sunday has Cruz leading Trump 28% to 26%. A small and growing number of Republicans allied with the establishment — the force long thought to quickly consolidate against a surging Cruz bid — are coming to terms with the idea that he may be palatable in an election cycle where Trump has pushed the envelope well beyond what they considered acceptable.”Oh God, yes,” said Ed Rogers, a top Republican lobbyist, when asked if he’d prefer Cruz. “Compared to Trump, he’s OK.”Read: Stage set for final GOP debate of 2015Establishment Republicans had enough of a problem when Trump began his populist-fueled move to the top of national polls, where he has stubbornly remained for five months. But Cruz’s steady rise means that even if Trump were taken out by a well-financed negative campaign, they might have to deal with a stronger Cruz, who has more political polish than the more improvisational Trump.”If you talk to my peers around town, collectively it’s an appreciation the guy is smart as hell,” explained a senior Washington Republican who is backing another candidate. “He can be a more acceptable alternative to Trump, if it comes to that.”The irony hasn’t escaped them. Said the Republican: “It’s an interesting life — and everything’s relative.”Most establishment Republicans have been drawn to the half-dozen candidates who come from that wing of the party, especially Florida Sen. Marco Rubio, who has lived in the mid-teens in most polls, and former Florida Gov. Jeb Bush, who has dropped down to 3% nationally. But given Cruz’s surging poll numbers and Trump’s remarkable political durability, some wonder if it could be Cruz that emerges as the compromise candidate.”The second he starts to look like a winner in Washington,” Rogers said, “he’s going to have a bunch of new friends.”It’s a dilemma swatted away on Capitol Hill — perhaps optimistically.Asked about choosing Trump or Cruz, 2008 nominee Sen. John McCain would only allow that they are “smart people.” Bush backer Sen. Susan Collins would just offer that they are “obviously not my choice.”And there’s no guarantee either one can beat Hillary Clinton.”He’s not as outrageous as Trump, but I don’t know that he’s any more electable than Trump,” said Charlie Black, a senior adviser to Republican presidential campaigns for over two decades.Brian Walsh, a longtime Senate campaign aide, said it’s an out-of-control Trump — not an in-control Cruz — that explains the Texan’s growing appeal. “Trump has gone so far that it has in some ways masked how problematic Cruz would be as the nominee as well,” he said. Despite his background as an Ivy League-educated attorney and his time in the Bush administration, Cruz rose to prominence as a tea party darling who became the national face of the 2013 government shutdown. Cruz has spent the two years since working to salvage his relationship with some potential investors in his campaign, but he has reveled in his image as a Washington bad boy, the only senator willing to do on Capitol Hill what he campaigned on back at home. It’s something that has made him enemies in Washington, where he has not convinced a single Senate colleague to back his campaign. Cruz helped push Republicans to shut down the government in a high-stakes fight over Obamacare, a strategy that failed to get results but didn’t cause a predicted electoral meltdown. On the trail, he has shown no willingness to moderate his positions, bragging about his conservative purity and his rabble-rousing reputation in the Capitol. But even compared to Cruz’s burn-it-down rhetoric, Trump’s campaign has been more incendiary and worrisome for party elders determined to beat likely Democratic nominee Hillary Clinton. The mogul had harsh things to say about Hispanics, prisoners of war, women in the media, the disabled, and most recently, Muslims, who he thinks temporarily should not be allowed to enter the United States. And most concerning for GOP leaders, Trump has frequently floated leaving the Republican Party altogether to mount an independent bid, which would significantly increase Clinton’s chances of winning the White House. The pair appears to be heading toward a clash that Cruz, at least, long sought to delay. On Friday evening, about 24 hours after audio leaked of Cruz questioning Trump’s judgment at a private fundraiser, the real estate mogul launched his first attacks on Cruz. Cruz had attempted to head that off by alleging that mainstream Republicans were trying to sow discord. Cruz has done little to woo the Republicans he used as his bogeyman: He has raised the lion’s share of his money far from the New York-to-Washington corridor, raced to the party’s right flank on every issue of the day, and campaigned loudly on the polarizing social issues that one well-placed Republican said puts some contributors permanently out of reach. Cruz, on paper, should not be as repellent to the GOP political class as he is. Nurtured by the George W. Bush network in Texas, he served as solicitor general before winning an upset bid in the 2012 Republican U.S. Senate primary. To Stuart Stevens, the chief strategist for Mitt Romney’s 2012 campaign, that resume should theoretically make him attractive to the party’s elite. And some of his positions, such as on national security, do hew closely to the party’s center. As Cruz held court on MSNBC’s “Morning Joe” last week, “you could’ve sworn he was working for George Herbert Walker Bush on his foreign policy,” a senior Republican said.